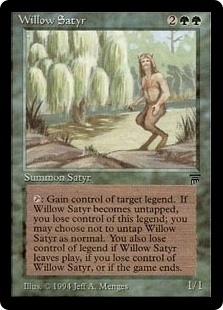 Ivory Guardians ($0.99) Price History from major stores - Legends - MTGPrice.com Values for Ebay, Amazon and hobby stores! 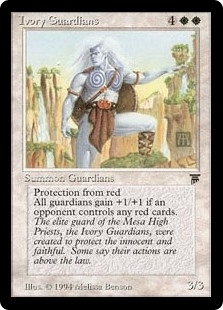 Card Text: Protection from red Creatures named Ivory Guardians get +1/+1 as long as an opponent controls a nontoken red permanent. 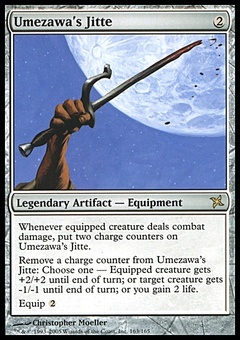 Flavor Text: The elite guard of the Mesa High Priests, the Ivory Guardians, were created to protect the innocent and faithful. Some say their actions are above the law.